Last year I started using reading workshop in my classroom and I bought cardboard magazine files for the kids to use for book boxes . I even reinforced them with colored duck tape. 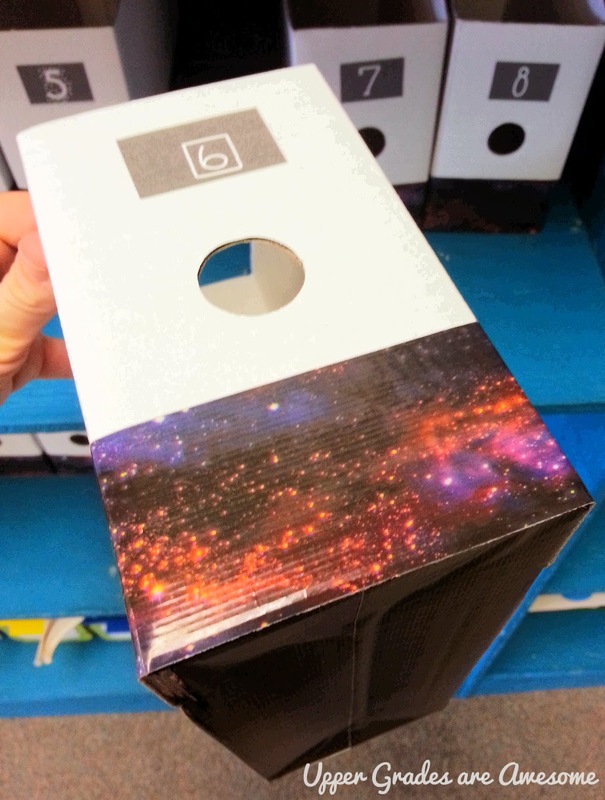 This year I did the same, but improved them a million times by using....GALAXY duck tape ! How cool is this tape!? Not only does it look amazing, but it fits with our study of space. 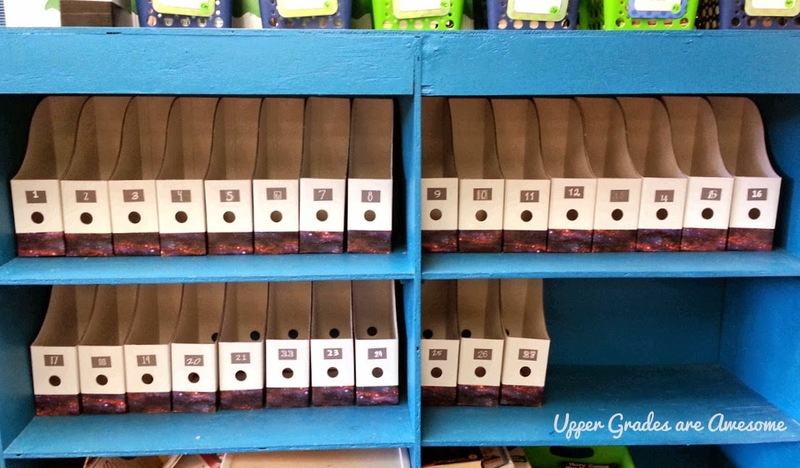 The tape really helped reinforce the boxes and they lasted all school year. I ended up tossing most of them though because the white box became dingy form 5th grade fingers. Still, a good investment! This year I also changed the number styles on the boxes. I did have Ladybug's Teachers's beautiful numbers last year, but I had to laminate and glue them, and several fell off. So, this year I chose a different font for each number, printed them on Avery labels, and slapped them on! All ready to be filled with OUT OF THIS WORLD books! 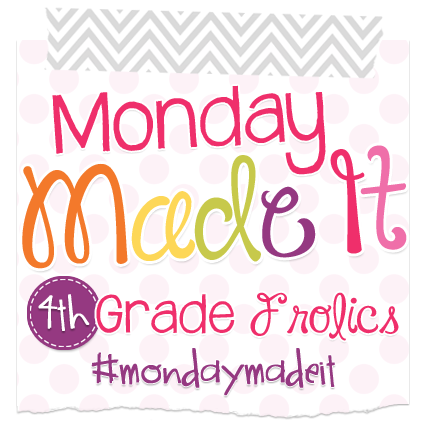 Here is my Monday Almost Made It (4thgradefrolics, can you make that a thing?)! My mom bought me this meta cat puzzle . 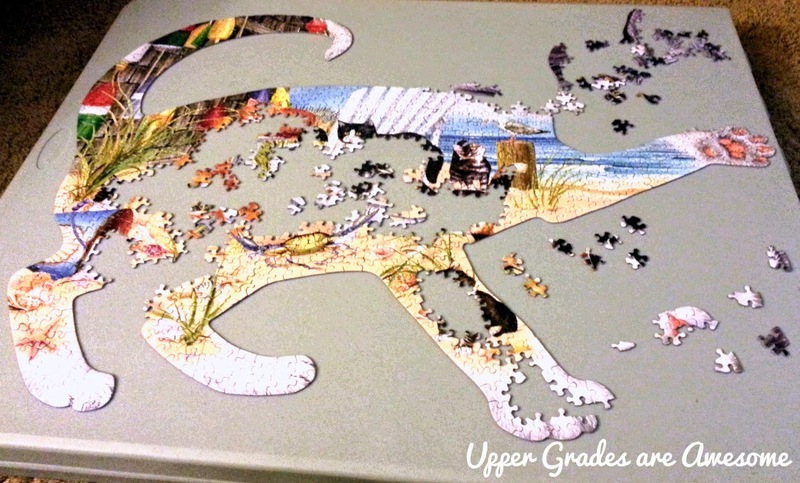 Not only is it a picture of cats, but the puzzle is shaped like a cat. That has made finding edge pieces a bit challenging. I was really hoping to finish it today, but it's not looking likely. I love the galaxy boxes!!! Great idea! 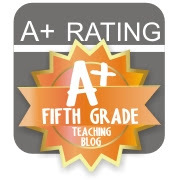 Hmmm… how can I use these in my kindergarten class? You can bet I'll be thinking about your creation! This is going to sound crazy, but I have been looking for that puzzle everywhere!! Do you know where it's from? Oh, and I love the boxes too! The duct tape makes them so special! Tracy, that is too funny! My mom bought it for me months ago, she can't remember, but thinks she got it at a True Value (of all places!). A quick search online (search for: beach cats puzzle) brings up several online retailers that have it for under $20. Good luck! Thanks you! I will look for it! 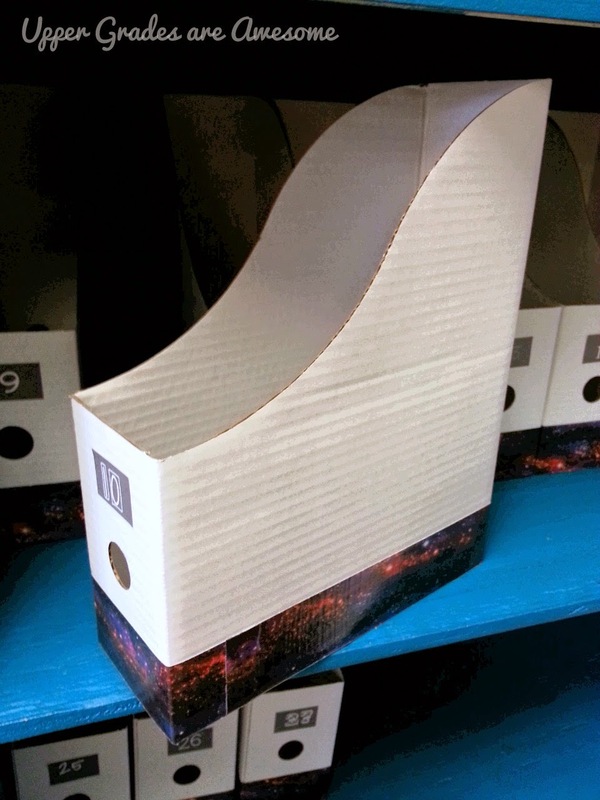 I am looking into purchasing some book boxes! Where did you find yours? Eek! Sorry Kayla, I meant to include that in my post. I bought them from Ikea...5 pack for $1.99. Thanks for sharing the duct tape idea for the storage files. I will be using these containers for INB' s this coming school year. Now mine will be stronger and look great, too.